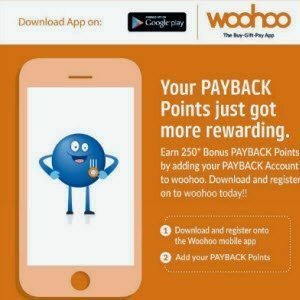 Get FREE Credits 250 Payback points when you download Woohoo Android app and add PayBack Account. Woohoo offers to buy various gift vouchers online & spend them at offline & online stores such as Myntra, shopperstop etc. The mobile number needs to be verified automatically on device.